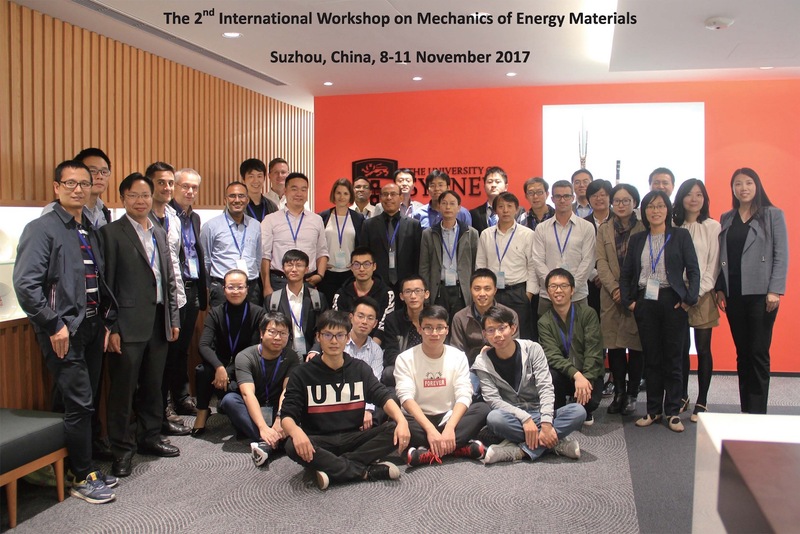 The Second International Workshop on Mechanics of Energy Materials (IWMEM2017) has been successfully hosted at The University of Sydney Centre in China, 8-11 November, 2o17. The workshop contained 27 technical presentations, regarding a wide range of research on challenging engineering problems in energy systems (nuclear fusion / fission, batteries, and photovoltaic systems), and 45 participants from Germany, China, India, USA and Australia. The workshop was organised by The University of Sydney,Tsinghua University and CAS Suzhou Institute of Nano-Tech and Nano-Bionics (SINANO). At the end of the workshop, the plan to host the next IWMEM at IIT Madras, Chennai, India, 2018. The group photo is taken in front of The University of Sydney Centre in China, Suzhou, China. This entry was posted in Conferences and tagged energy materials, iwmem, workshop. Bookmark the permalink. Post a comment or leave a trackback: Trackback URL.